A range of shopping trolley castors with 125mm diameter wheels which will fit any standard supermarket shopping trolley. Both options have M12 threaded bolt for easy attachment. 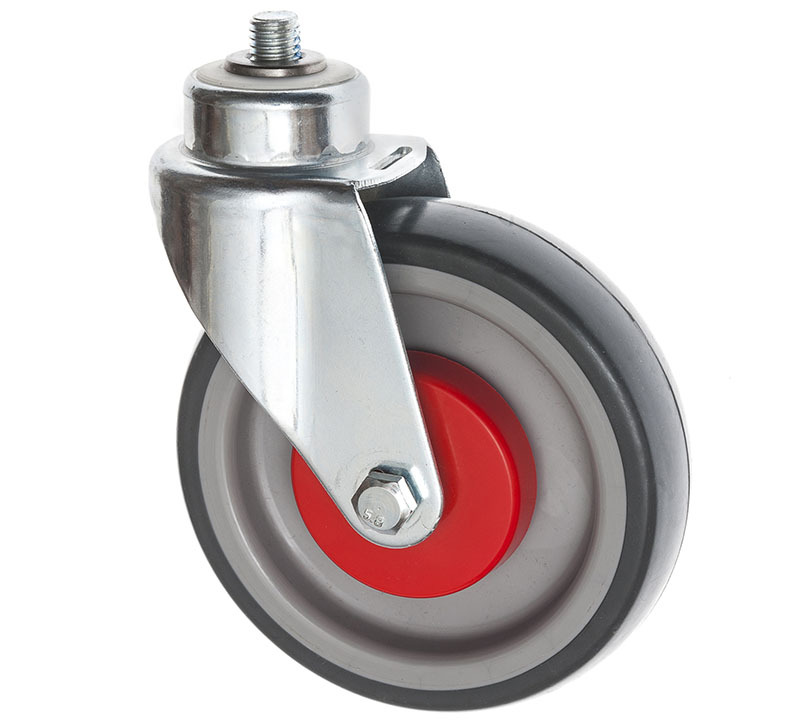 Replacement shopping trolley wheels which are fitted easily. Hassle free replacement of faulty supermarket trolley wheels. Choose non marking rubber or electro conductive rubber supermarket trolley wheels.